Ferrari recently made headlines with its celebrations commemorating the Italian brand’s 60th anniversary of its entry into the American automotive market. 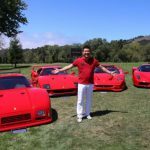 More than 1000 Ferraris descended upon Beverly Hills for the unveiling of the limited-edition F60 America and one enthusiastic Ferrari collector, David Lee, wouldn’t have missed it for the world. Lee owns one of the most impressive Ferrari collections in the United States, consisting of some of the brand’s most loved flagships. His collection includes a 1988 288 GTO, an extremely rare 1987 288 GTO Evo, a 1990 F40, a 1995 F50 and a 2003 Enzo. If you’re a big fan of the Scuderia, you don’t need us to tell you that is an absolutely legendary lineup. 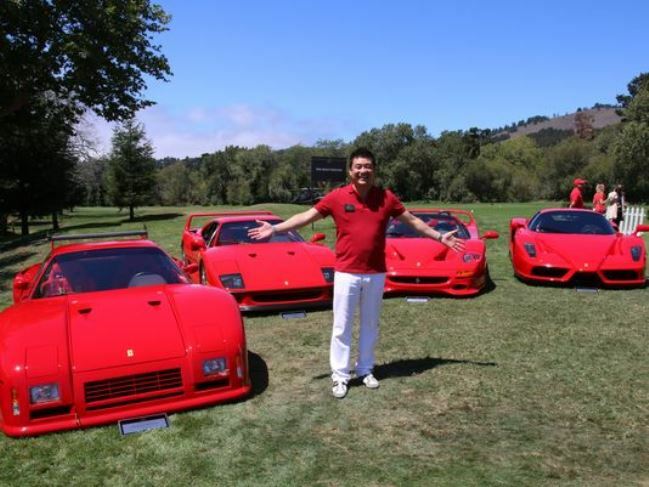 Lee doesn’t just have an affinity for Ferrari flagships, though. 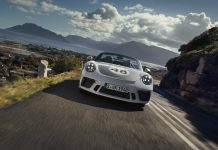 He says he spends the most time behind the wheel of his FF, which is unsurprising considering the all-wheel drive four-seater is the most comfortable and usable GT car Ferrari currently sells. Now were just left wondering when Lee will be taking delivery of the LaFerrari we assume he has on order!